Florida manatee, Trichechus manatus latirostris, a subspecies of the West Indian manatee, endangered. A mother and calf swim in clear, warm freshwater habitat. 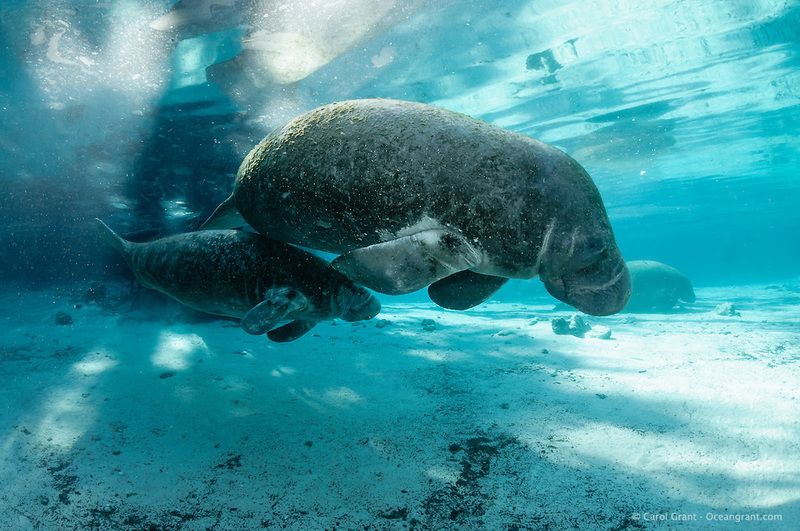 This mother swims with her calf underneath her to protect and guide it. Horizontal orientation, backlighting with sun. Three Sisters Springs, Crystal River National Wildlife Refuge, Kings Bay, Crystal River, Citrus County, Florida USA.